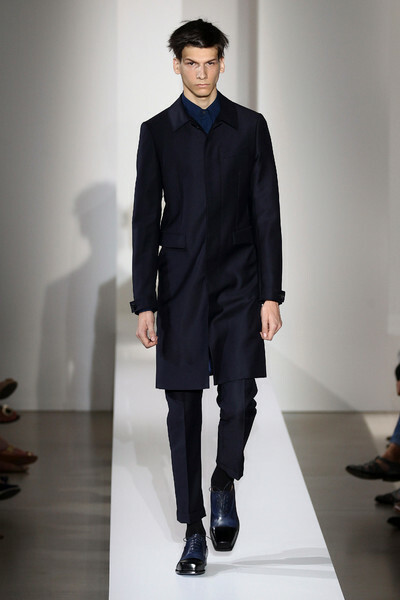 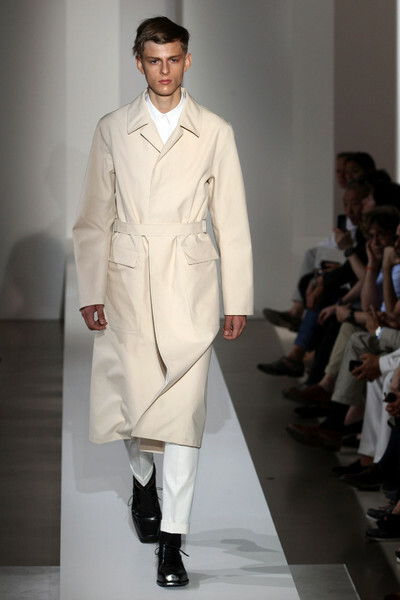 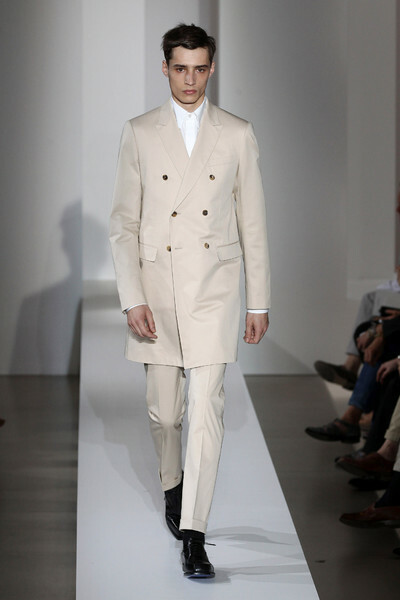 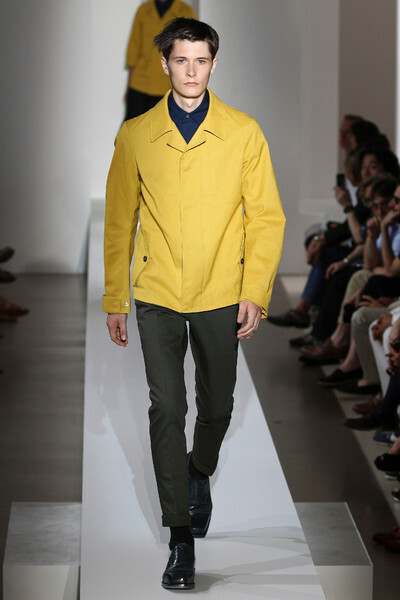 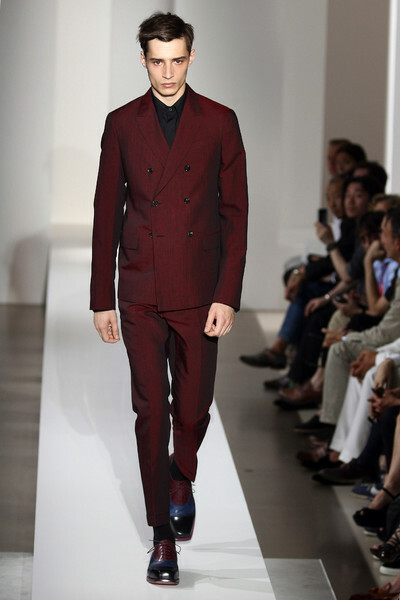 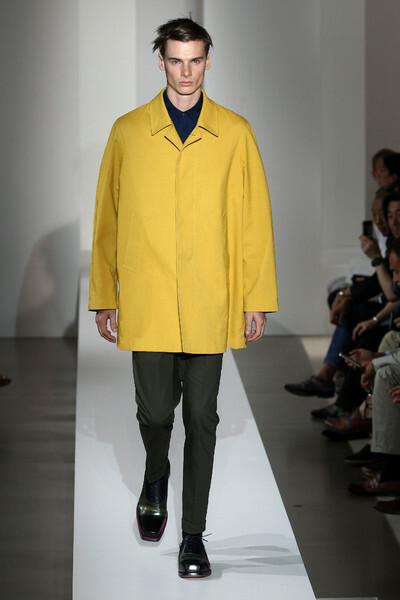 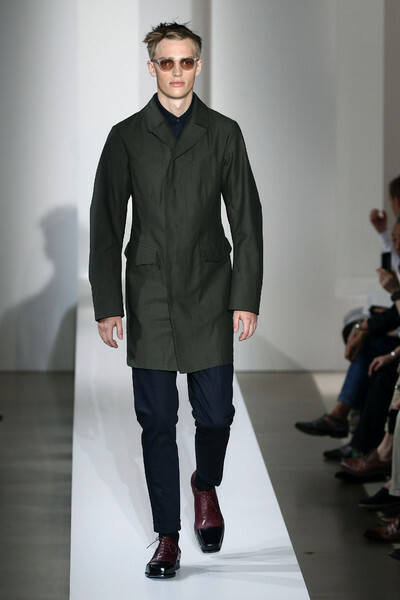 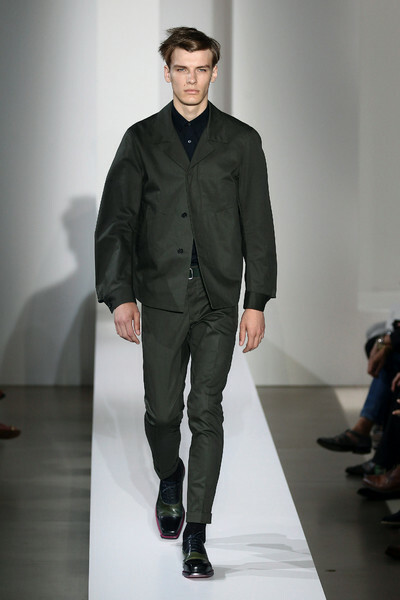 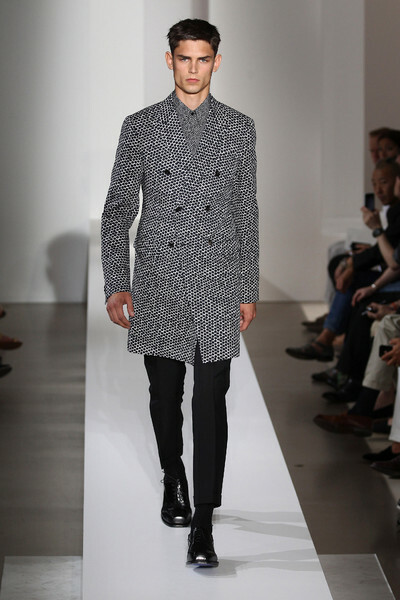 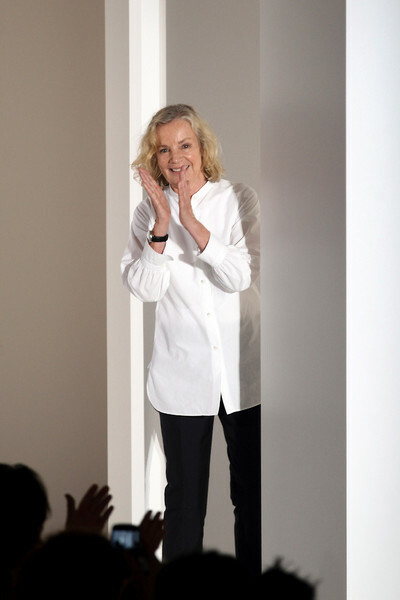 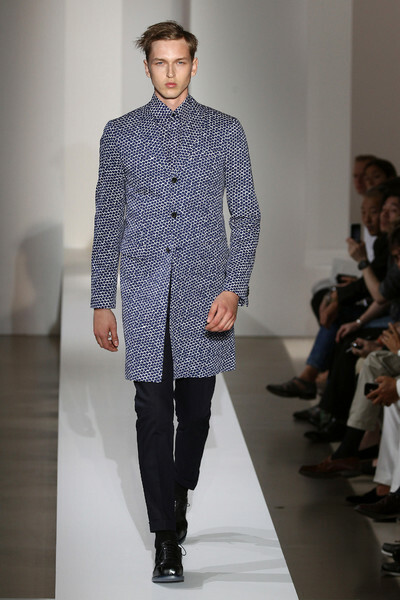 The most anticipated show this menswear-season: the come-back show of designer Jil Sander for her own label. 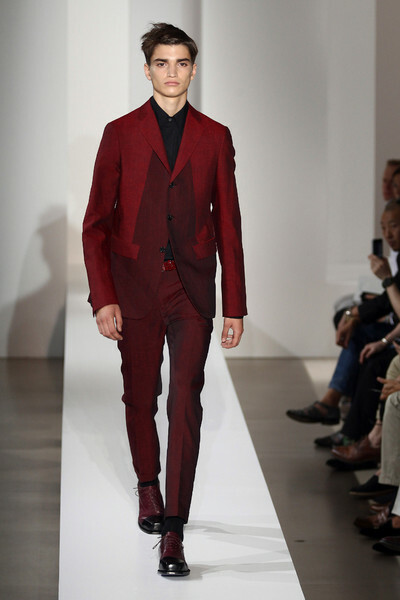 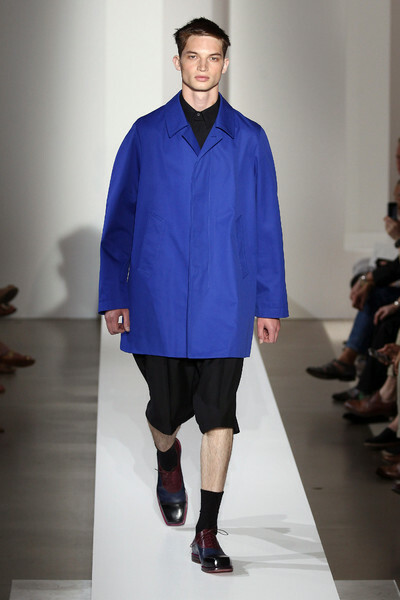 Looking at the collection it seemed Sander said goodbye to the experimental designs of Raf Simons and went back to purism. 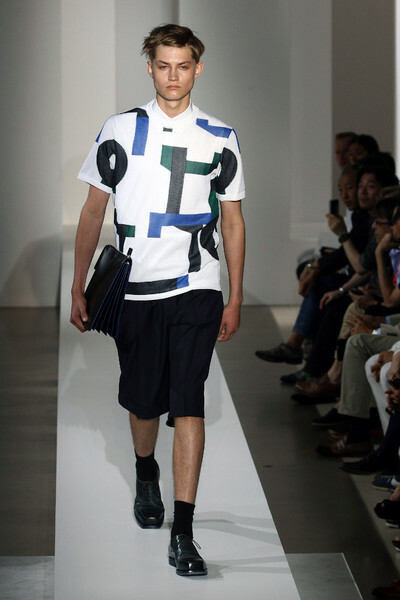 The collection was crisp, graphic and youthful. 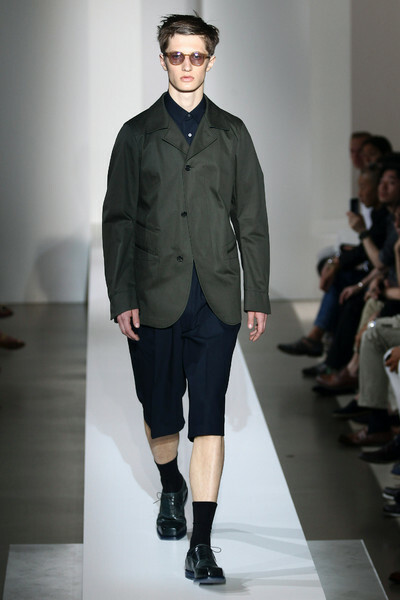 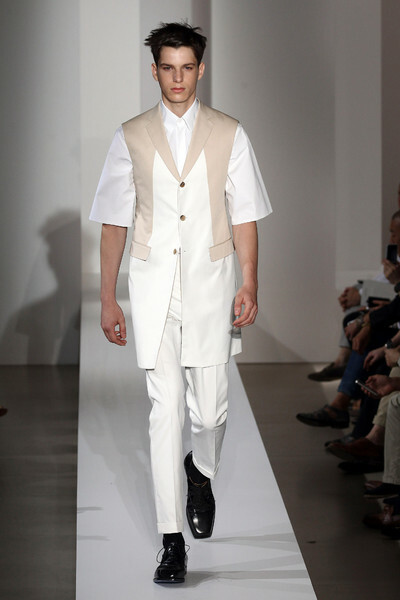 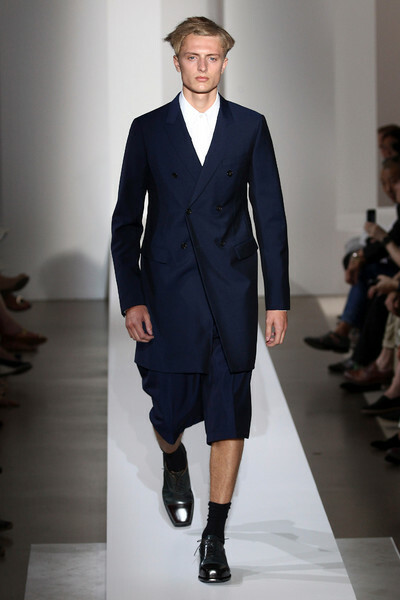 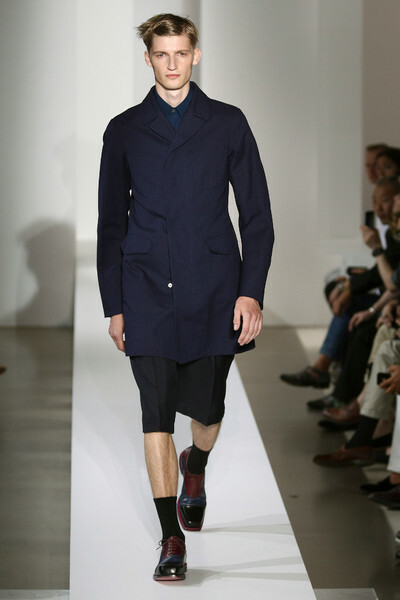 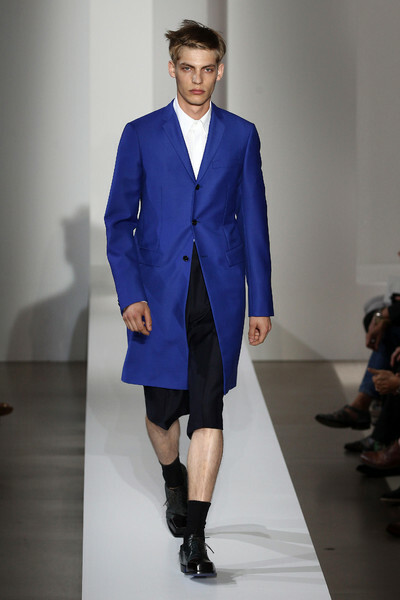 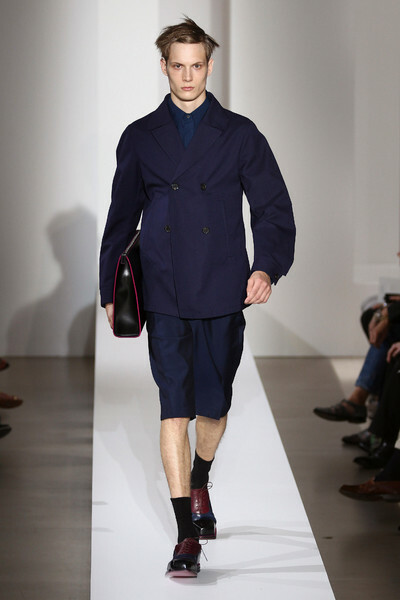 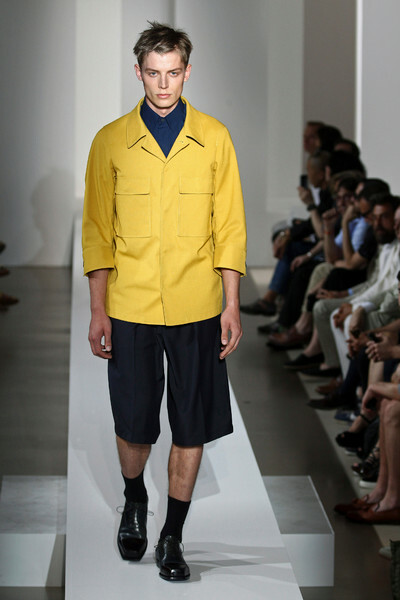 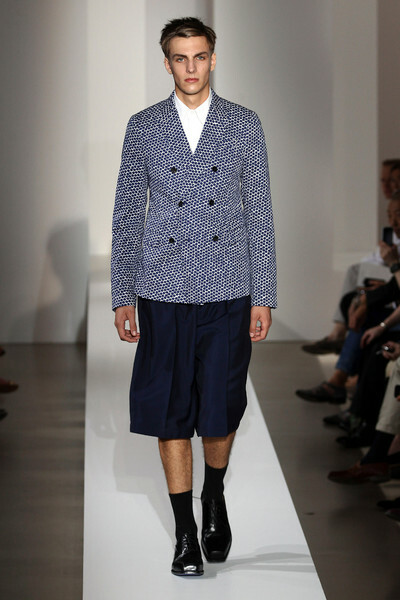 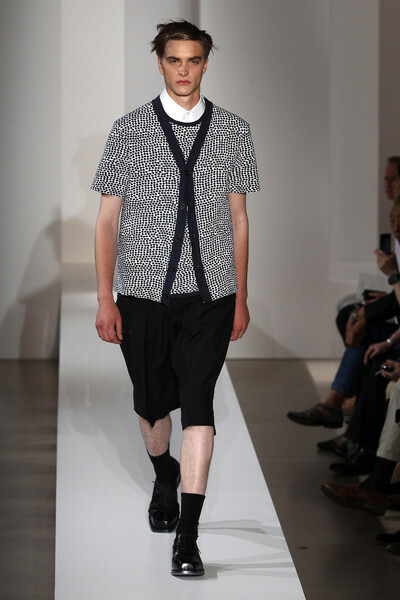 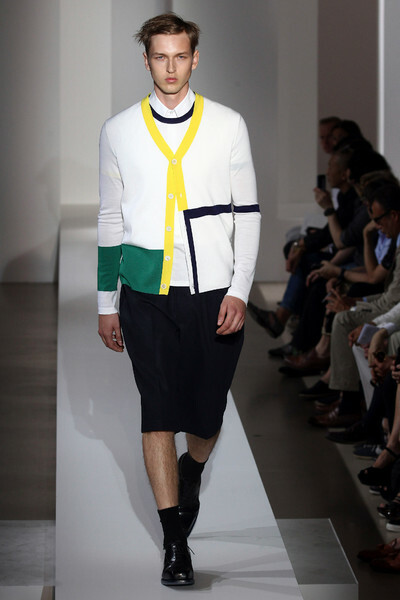 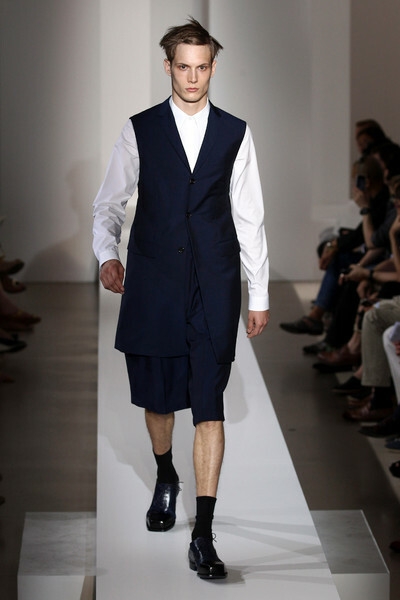 Jil Sander opened her show with a sleeveless navy coat over a white, short-sleeved nerd shirt and shorts, setting her main agenda: playing on proportion, and a mix of formal and sporty. 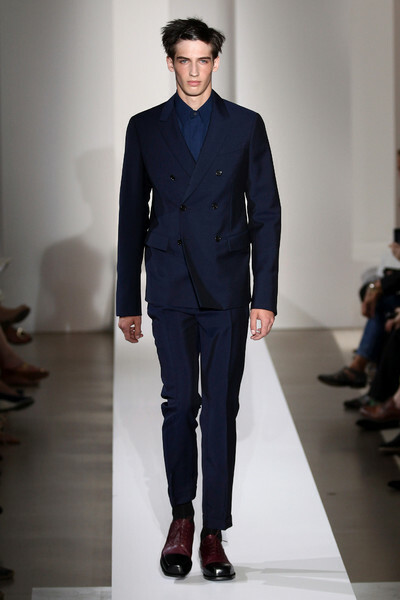 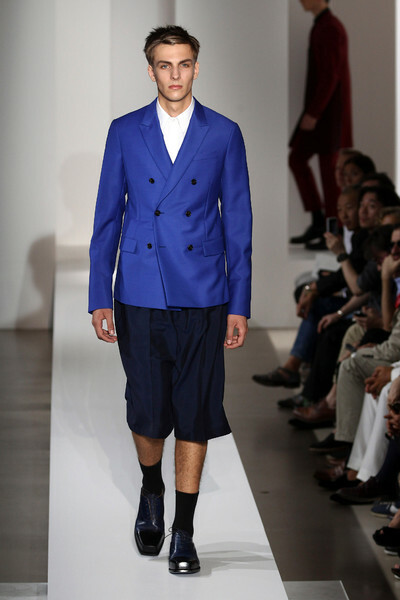 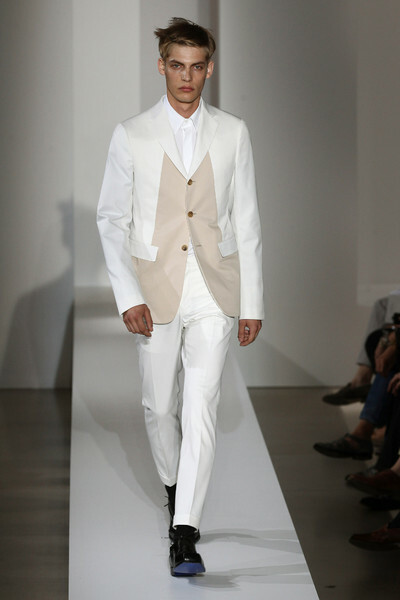 Sander gave her pristine silhouettes a generous mix of classic and vivid colors, from long-line tan suits spliced with white panels, to boxy garage jackets in an Yves Klein blue. 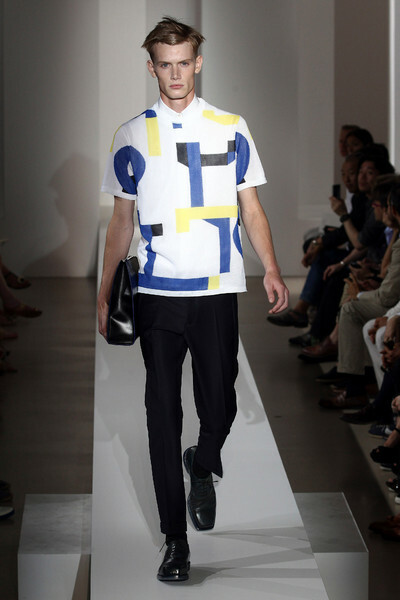 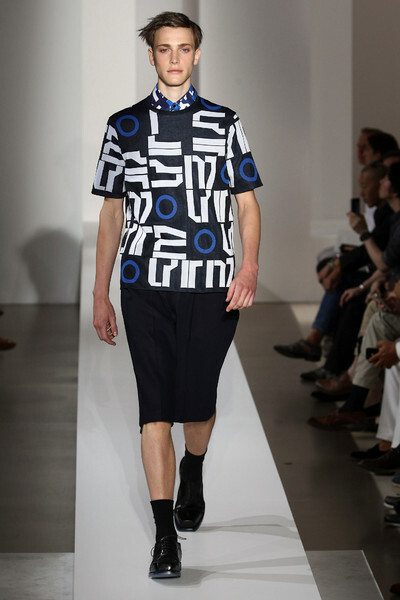 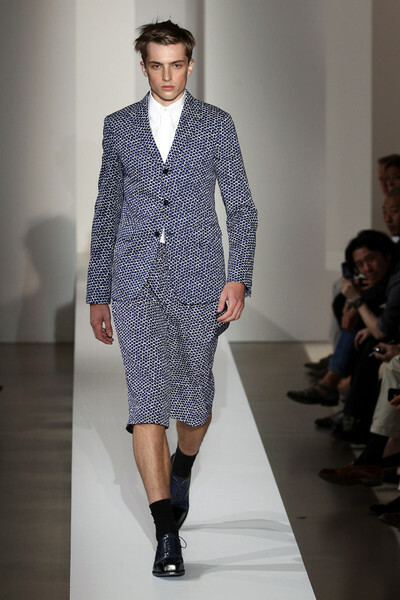 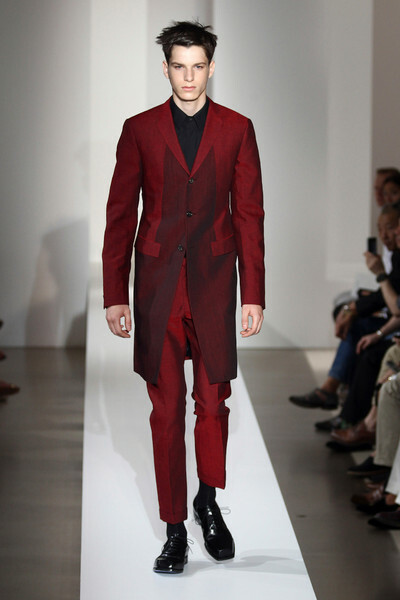 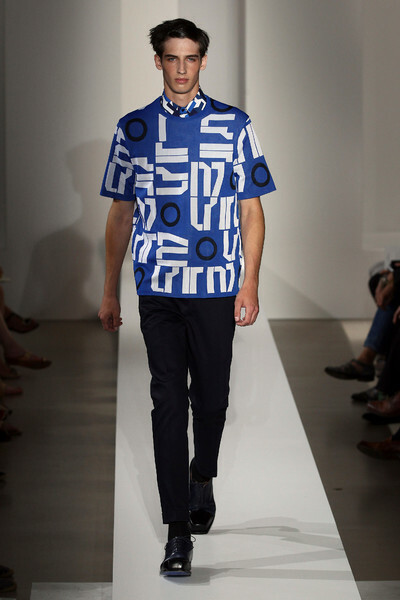 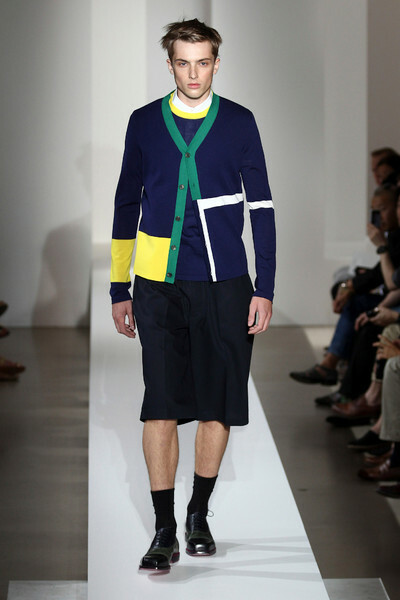 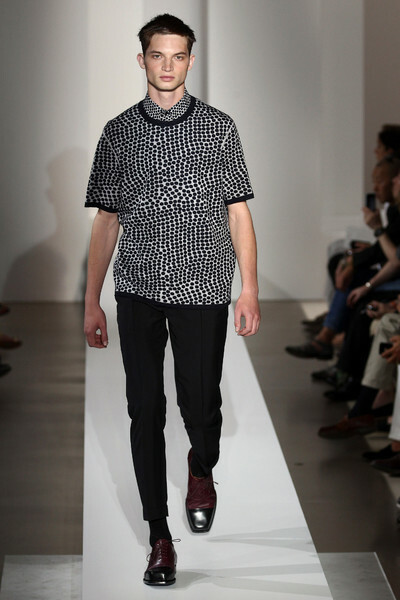 There were prints, too: polka dots and Mondrian-esque stripes.